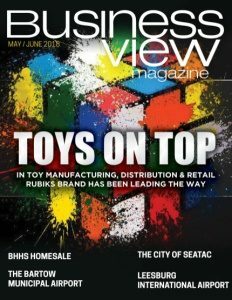 Business View Magazine interviews Scott Hoots, President of Pet Wants , as part of its focus on best business practices in the pet and pet food sector. Americans spend $25 billion a year on pet food. The world’s largest producer of pet food is the United Kingdom’s Mars Petcare with a portfolio of approximately 50 brands. Nestlé Purina Petcare of St. Louis, Missouri is the world’s second largest company, globally, and the first largest in the United States. Hill’s Pet Nutrition of Topeka, Kansas, a subsidiary of Colgate-Palmolive, comes in third, and Blue Buffalo of Wilton, Connecticut, recently sold to General Mills for $8 billion, owns the fourth spot. A newer, and much smaller, entrant into the lucrative pet food market is Pet Wants of Cincinnati, Ohio, a niche company that was founded in 2010 and offers specialty-crafted pet food products made with natural ingredients, with no sugar added, no fillers, no animal by-products, and no corn, wheat, soy, or dyes. 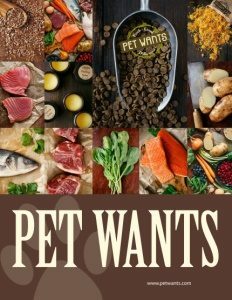 Pet Wants, listed #33 in Entrepreneur Magazine’s 2018 listing of the Top New Franchises, sells its private label food products, along with a variety of other pet products from partner companies, through its network of franchise stores. Pet Wants is a member of the Strategic Franchising System, a family of five separate brands: Freshcoat, a painting company; Caring Transitions, specializing in senior services; The Growth Coach, a leader in business and sales coaching; and TruBlue, which provides house care services. BVM: How did Pet Wants come onto the scene? Hoots: “Pet Wants was started by Michelle Hobbs out of the need to solve a problem. Michelle and her wife, Amanda Broughton, had a dog named Jackson, and Jackson was having some health problems that required a lot of visits to the veterinarian and thousands of dollars in bills. And when they got down to the root cause of Jackson’s problems, it all pointed to the lack of nutrition in his diet – they were feeding Jackson one of the name-brand, big-box retailer dog foods. BVM: How are you continuing to build the Pet Wants franchise network? BVM: How do you vet those potential franchisees, to make sure they’re a good fit for the brand? BVM: What kind of training do you offer new franchisees? Hoots: “Once awarded a franchise, they go through an onboarding process. That onboarding is designed to get the business components started. We haven’t dug into pet food operations or pet food nutrition – we haven’t dug into any of that, yet. We’re just helping them get a corporate entity set up; helping them get a bank account set up; their DBA; all of that. “Then we bring them into our corporate offices here in Cincinnati, and they go through a very hands-on training regimen that includes sales skills, how to run a Pet Wants business from an operational standpoint, how to go out into the community and build the brand, how to plan and manage the business from a financial standpoint, and how to manage the inventory on a monthly basis. Those are a few of the concepts that we teach them in the hands-on training program. “We have two models. The first is a mobile-only business. 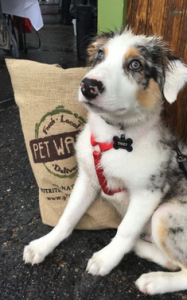 That business focuses on building a business through grassroots development activities and delivering fresh and nutritious pet food to people’s doors, using a vehicle. The second concept is a retail store. In that case, they are going to not only deliver food via the mobile component with all of the grassroots, community-based business development that a mobile store does, but they’re also going to open a storefront and operate a retail revenue stream, as well. BVM: After a franchise is up and running, what products does it sell? BVM: Aside from your proprietary brand foods, what other characteristics make Pet Wants a unique company in the marketplace? Hoots: “There are two key points of differentiation. The first is the freshness or our product. Truly, there is nobody in the country that sells a product like Pet Wants pet food. We’re the freshest and most nutritious dry dog and cat food that you can feed your pet, measured by the length of time from manufacture to the bowl. “In the mass market, most pet food goes 12, 16, 18 months from the date of manufacture, before your dog or cat eats it. And that’s the problem, because just like human food loses nutrition over time, pet food loses nutrition, as well. We make it fresh in small batches, every month, so we’re guaranteeing that our private label food is the freshest. That’s the first point of differentiation. BVM: What was on your agenda when you first came to Pet Wants? Hoots: “The first thing that I did when I came on board, last September, was to reach out to our franchise owners and ask them about their satisfaction with their Pet Wants franchise business; ask them about what has gone right and what could have been improved. And I got a lot of great and valuable feedback from them. Out of that feedback, I crafted five pillars of growth, which define us in the short and medium term as to what we’re focusing on to help our franchisees be successful. “The first pillar of growth is strong unit level economics – in other words, our franchisees have to have a strong revenue stream and a strong profitability, so that they can reach their financial goals. “The second pillar of growth is building a strong relationship between the franchisor and the franchisees. I want them to be happy with their investment in Pet Wants; I want them to be happy with the way they’re treated by the franchisor; and I want them to feel good about their investment in our brand and be willing to tell people that they would do it all over again, if given the chance. “The third pillar of growth is building a strong marketing and advertising program. We have to continue to build the brand and find new ways to increase the brand awareness of Pet Wants and our products. “The fourth pillar of growth is to improve our technology platform. That includes our online presence and the technology which we use to run our franchise locations, like our POS system. “The fifth pillar of growth is to build an effective management team, and that means that it’s up to me to build franchise support personnel who are capable and passionate about helping franchisees be successful. BVM: Do franchise owners ever get together? Hoots: “We sure do. In fact, we just got done with our fourth regional meeting. My goal in the first quarter was to schedule a group of regional meetings where I can have myself and our operations team meet our franchisees close to home, but also allow groups of franchisees to get together, network, and share best practices. So, in the first quarter of this year, we have a total of six regional meetings across the country. BVM: What are your plans for the company, going forward? Hoots: “Our biggest opportunity lies in expanding the brand awareness of Pet Wants across the country. 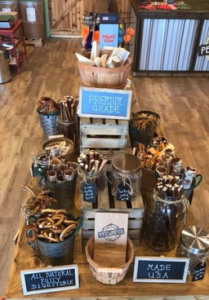 We’ve been able to grow through our franchise locations, but we still have a grand opportunity in front of us to improve and increase our brand awareness through offering direct sales to customers who are not in a franchise location. That’s a big part of what we are looking to do in the latter part of 2018. Check out this handpicked feature on Deepwater Chemicals – The Experts in Iodine Chemistry.